Nobuyuki Mizuoka is a Composer and Keyboard player from Tokyo, Japan. He specializes in Jazz, but his music is definitely not limited to the conventional “Jazz” style music. They are well blended with touches of “traditional-Japanese” and oriental flavor(s), creating a truly unique cross-over effect, which is now recognized and loved by many supporters in Japan. He started to take classic piano lessons back in his childhood days ; his favorite composers in this field include Debussy and Ravel. His interests expanded to other categories of music during his high school days, and after entering Chuo University (majoring in Law), he made further progress in fields of Jazz, Pops, Rock, Soul, Latin and Blues. He has continued to participate as a free lance stage & studio keyboard player, became solo in June 2005, and eventually formed his independent music production company (the MNG Co.) in April 2008. He has been leading his own Jazz group (The Mizuoka Nobuyuki Group) since then, and is making regular performances at leading live stages in the metropolitan Tokyo area including the Sweet Basil 139, JZ Brat, Club Ikspiari and Motion Blue Yokohama. He is also known to be very active in performing charity stages at many hospitals and nursing homes. As of June 2012, Nobuyuki has released a total of six original albums in Japan. 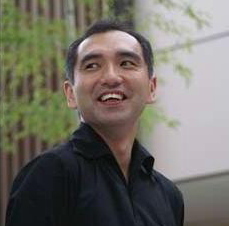 His composition have been highly praised by leading music commentators including Reiko Yukawa. Most importantly during the recent months, he was responsible in composing and producing the music used on the documentary film “Tachiiri-Kinshi Kuiki Futaba - Saredo waga kokyo” (“Off-Limit Area Futaba - But still, this is my home to return”). This is a documentary film showing the “realities” of what is now happening at the local towns nearby the Fukushima Nuclear Power Plant who had to have all people evacuate due to the radiation effects. Copyright (C) 水岡のぶゆき オフィシャルサイト. All Rights Reserved.